Like many towns and cities across Europe and worldwide, urban air quality and the potential harmful effects of pollution on human health, is an issue of concern in Brighton & Hove. Cars, taxis, vans, public transport fleets and trucks each contribute to total vehicular emissions, which combine with industrial and other sources in defining the quality of air in the built environment. 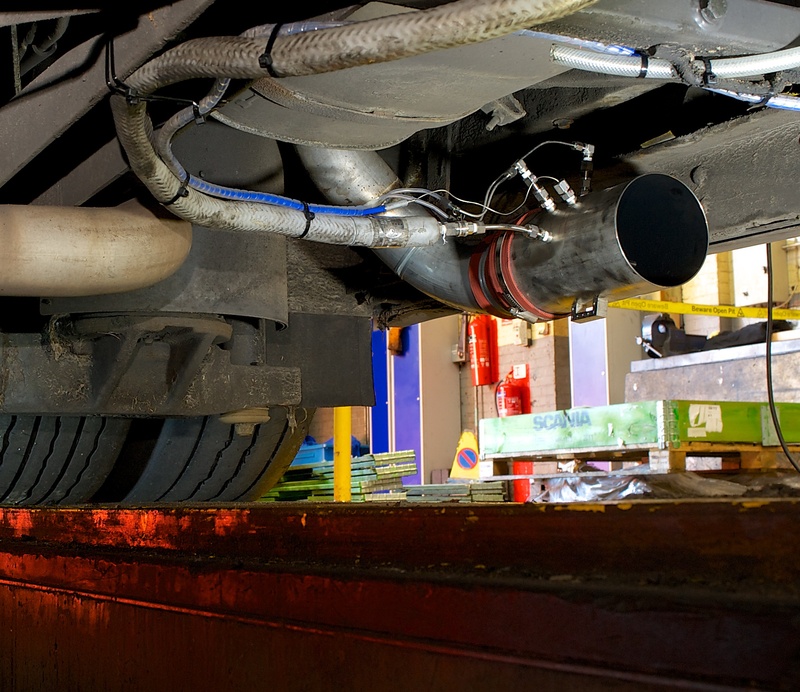 While the exhaust emissions of new vehicles are thoroughly tested over regulatory drive cycles during the development phase, however, little information currently exists as to their actual emissions when used in service. 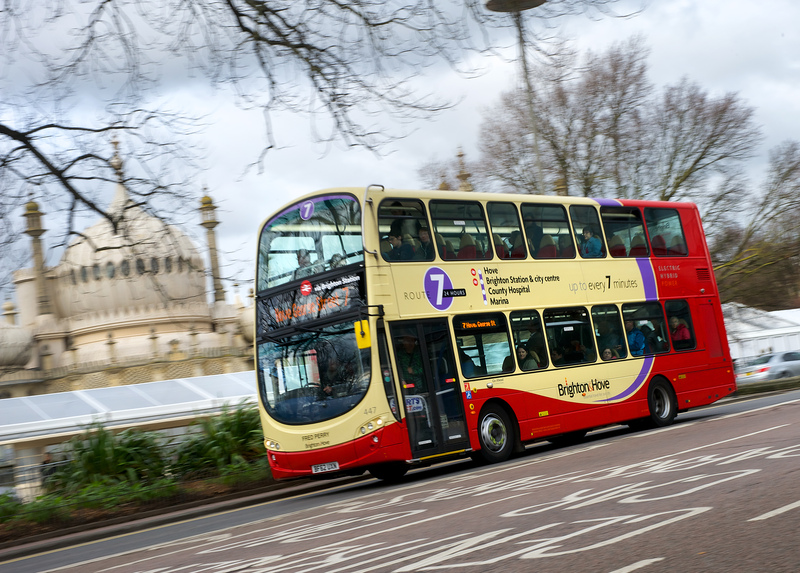 According to Department for Transport statistics the city of Brighton & Hove boasts the country’s highest – and consistently growing – number of bus journeys per head of population outside London. Brighton & Hove Bus and Coach Company is by far the largest operator within the city, operating a fleet of approximately 280 modern buses. 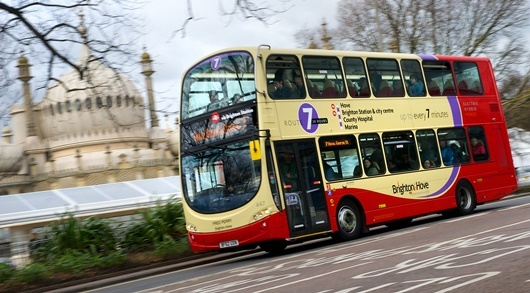 It is committed to contributing towards a cleaner environment – for example, in actively engaging with Brighton & Hove City Council in the planning of a proposed Low Emissions Zone, and for this reason the company chose to collaborate with Ricardo and test equipment specialist HORIBA in measuring the real-world emissions of its buses. A major area of concern in terms of air quality for Brighton is the central east-west thoroughfare of North Street, which is known to suffer from poor air quality. Bus route 7 was selected for the tests as it traverses the city through this air quality hot spot, and covers a total of 18km (9km in each direction) with significant gradients throughout. In order to provide a cross-section of the Brighton & Hove bus fleet, the tests were carried out on a Euro IV vehicle fitted with exhaust gas recirculation (EGR) aftertreatment technology, a Euro V vehicle fitted with selective catalytic reduction (SCR) aftertreatment, and a further Euro V SCR equipped diesel-electric hybrid vehicle. Each bus was instrumented with HORIBA’s advanced Portable Emissions Monitoring System (PEMS) equipment and artificially loaded with ballast representing a 70 percent passenger load (for reasons of health and safety, passengers were not carried and the test runs were not part of the regular timetable). The vehicles were tested on multiple trips and in normal traffic during business/shopping hours, stopping at regular bus stops in a similar manner to the normal passenger service A number of different drivers and driving styles were used in testing one of the three vehicles so that the effects of these variables could also be assessed. Measurements were scientifically recorded in real-time of each vehicle’s emissions of CO2 and NOx. 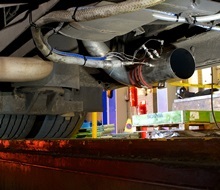 By detailed consideration of the type of emissions technology installed on the vehicle, estimates were also made of the proportion of NOx emitted as NO2. The real-time emissions data obtained were correlated with GPS measurements so that an accurate analysis of the effects of route topology could be made. While there has been much debate about the extent to which regulatory vehicle emissions limits reflect real-world emissions, the three vehicle types followed the expected trend of CO2 and NOx reducing from Euro IV to V and from Euro V to Euro V hybrid. However it was also found that certification level is not necessarily a reliable predictor of the lowest comparative emissions performance at a particular location or instant in time. No obvious influence of driver or driving style was observed on either CO2 or NOx emissions in this study (based on testing of the Euro IV bus). It was also found that CO2 and NOx emissions were seen to be broadly aligned so that in general, measures taken to improve fuel economy are likely to also have a benefit on NOx emissions. 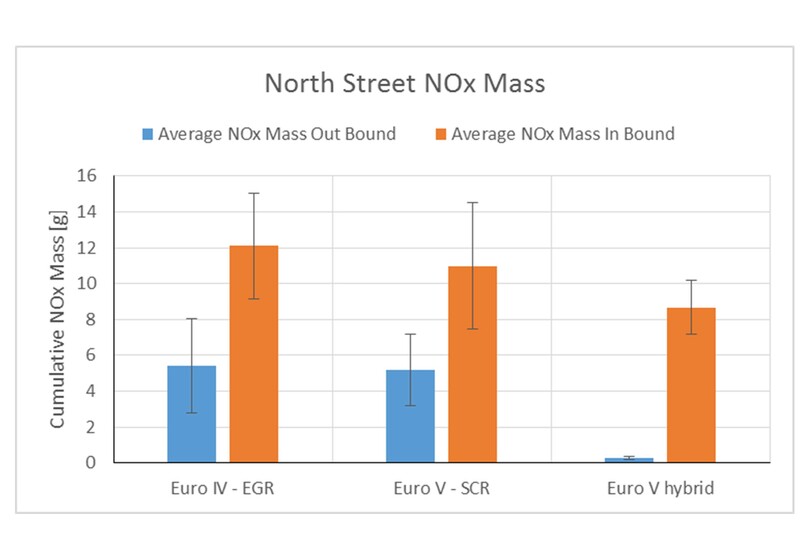 Looking at the results in detail across the whole of the route tested, it was clear that poor traffic flow on the westbound journey is perhaps the major contributor to higher NOx emissions in North Street. Erratic stop-start operation at this uphill stretch of the route, demanding multiple cycles of acceleration and braking would be expected to challenge the performance of EGR and SCR emissions aftertreatment control systems, and rapidly depletes the batteries of hybrids. This strongly correlated with the real-time vehicle emissions data, which demonstrated significantly higher levels at this location when operating in the westbound and uphill direction. A clear conclusion of the work was that initiatives aimed at smoothing traffic flow at this location and allowing buses to operate without unnecessarily frequent stop-start cycles, could have a large positive impact on both NOx emissions and fuel economy. The results of the research were presented to Brighton & Hove City Council in early July, and appear to be well aligned with proposals already under discussion to improve bus flow in the vicinity of the known air quality hot spot. Informed by tangible research findings demonstrating how the effects of frequent stopping and acceleration cycles can significantly affect emissions of the bus fleet, the council, the bus company and other local stakeholders are now in a much improved position to make informed judgements on the emissions – and by extension, the air quality improvement potential – of possible traffic improvement schemes. 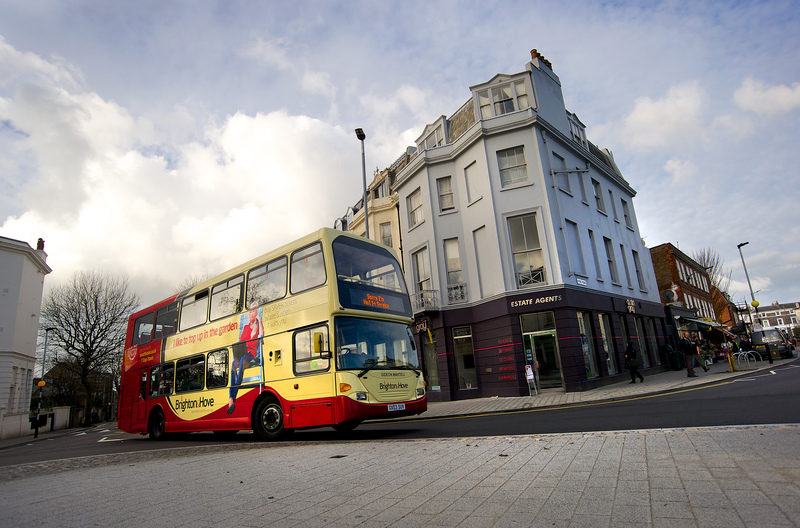 As buses and coaches form approximately 38 percent of vehicle movements in the North Street area (according to City Council figures for 2012), the research project focused on a representative sample of the comparatively modern Brighton & Hove fleet. A further 6 percent of vehicle movements are heavy goods vehicles and a significant proportion of the remainder are likely to be of diesel taxis and other light vehicles. Further research on these other potentially significant contributors to emissions would be necessary for a more complete picture of real-world emissions in this vicinity, but the conclusions of this work will assist Brighton & Hove in its efforts to make a tangible and positive impact on local air quality. Details of the research carried out in collaboration with Brighton & Hove Bus and Coach Company and HORIBA will be published by Ricardo in technical papers and journals over the coming months. A full copy of this press release and accompanying high res image downloads are available from the links at the top right of this page.